Hi AnnMarie! I didn’t even think about Mike Rowe, but I have very similar views as you when it comes to trusting him. While I just realized I don’t actually follow his social channels, I see his posts all the time because my friends and colleagues trust him enough to share his posts. Since I see his posts all the time and they seem so real, I trust him as well. It is interesting that trust can be earned by something as simple as being naturally real as Mike Rowe is when he posts. Many people try to act real in their fake posts, but you can always tell how fake they are. Mike Rowe is reliable and down-to-earth which is relatable for everyone. He also often posts about interesting, though provoking topics. I wonder if you took the interesting part out of your equation, if he would remain just as trustworthy or would the trust factor go down since his posts would be less noticeable and more benign? Hi, Kayla! Thanks for commenting! I wonder if you took out the Interesting aspect to my trust equation, if Mike Rowe would still fit the bill. I think he would. In 2010 Forbes even listed him as #4 of their list of most trusted celebrities, so I know I’m not alone. That’s high praise, being alongside titans in the entertainment industry like James Earl Jones, Denzel Washington, Morgan Freeman, and fellow-everyman, Tom Hanks. Interestingly, I saw that he posted yet another blog post/Facebook comment in response to The Inquisitr’s article challenging it. Again, this is one of the things that makes Mike credible, interesting, and honest. He shares his opinions freely online — even about controversial things — and doesn’t shy away from folks who question or try to rebut him. He states his opinions, and I like that. He seems unfiltered (equating to credible, interesting, and honest), which has led to trust. Thanks for your blog about Mike Rowe. As soon as I saw your blog, I immediately thought yeah, now there’s a guy I like and could see myself trusting. I liked your element of “Interesting” in your trust formula. But how would you define this further? “Interesting” is pretty subjective and maybe that’s the point. If I find someone interesting, am I more open to their viewpoints and find them more credible? You make a really good point. 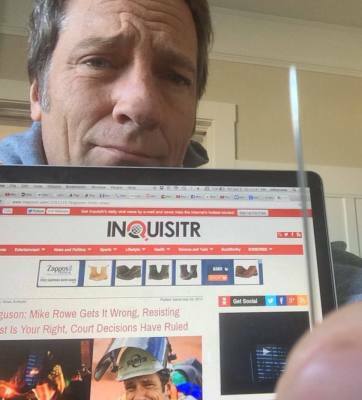 Is Mike Rowe interesting and credible because he’s popular and is a celebrity? I don’t know if he would be a credible source to talk about show lifting, crime, politics, etc. What makes him a relevant / credible source of anything aside from dirty jobs? With that said though, I am drawn to him as well. I’ve seen his show, enjoyed it, remember reading the shoplifting link and thinking – there’s a guy I could hang out with, have a beer and have a good conversation with that guy. There’s a guy that I could see myself trusting because of the “everyday kind of people” vibe he portrays. I agree with you that he feels real, but I don’t know if I can measure or validate that. Is it in his posts or messaging or the fact he’s positioned as such in his show. Does his “character” on his show spread to social media or is he being real? I loved his Facebook response that you shared, and thought Mike displayed some great tactics in responding – positive, helpfulness, care & honesty. Here’s a thought from our readings – if Jim Green (from the post) was an employee of a particular company, would that then mean that by him posting what he did, could a reporter say that Jim represents a company’s view? Or does this only apply for journalists? For that matter, when Mike Rowe responds does he represent Discovery Channel? 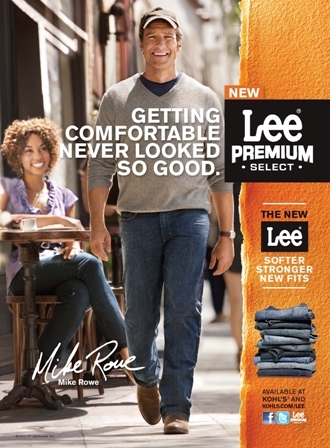 Thanks again for your post and great choice with Mike Rowe! Thanks for commenting, Frank! I like how you deconstructed my thoughts on Mike Rowe being Interesting. 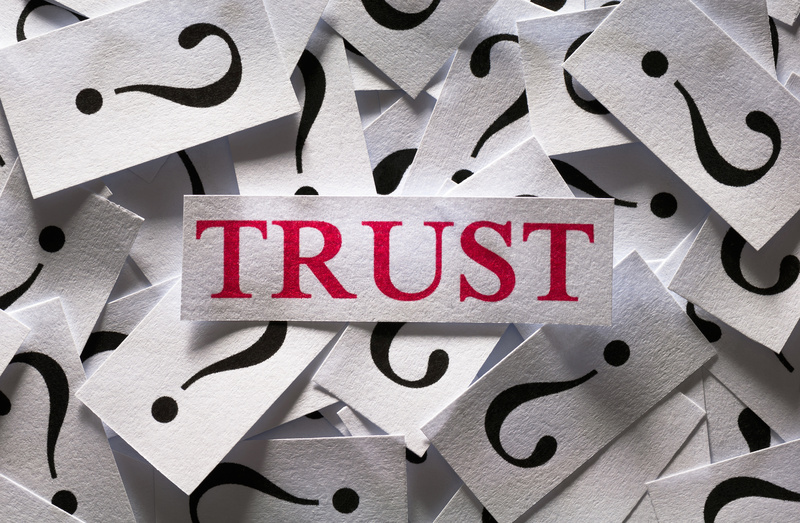 I do think that is a quality that would be defined differently by different people, which is part of why it matters when it comes to trust. Different folks naturally trust different people online; there’s no one list that would work for everyone, and I think that’s the point. My thoughts on Mike Rowe being interesting and real are hard to define, yet they matter nonetheless. One of the things, I think, that has helped Mike Rowe’s level of trust is the kind of “everyman” he’s become. His personal brand started for most of us as the TV host of the show, “Dirty Jobs,” where he tried out the kind of jobs that most people would turn their nose up to — literally. While being the host of this show, Mr. Rowe started to show his passion for the working man, the blue-collar folks. As a result, he started the Mike Rowe WORKS Foundation, helping to supply scholarships to folks who were looking to learn a trade. It’s this sort of thing that has endeared Mike Rowe to most people and helped to build trust. Even those who don’t necessarily agree with his opinions, can see that he’s a guy who believes what he says and isn’t trying to “sell” us. Ironically, it’s part of what’s made him a valuable spokesman. I also appreciate your questions about separating a person’s personal comments form their company’s image. I think that it’s hard to think that we, as individuals, could hurt our company’s level of public trust because we, as employees, speak, comment or are a part of groups that are our personal business. Unfortunately, there doesn’t seem to be anything private online, so anything we post we should assume will be seen by everyone and could have an effect on our work life. AnnMarie, Thanks for the follow-up. I wasn’t aware of Mike Rowe’s foundation and will definitely take a look. Appreciate your points on personal vs. public online information. My pleasure, Frank! I must admit, it’s one of the things I dislike most about the internet and social media — how nothing really can be private and a person can take things out of context (or in it, for that matter) and that moment can make them have a totally different feeling about a public brand you’re associated with. Is it fair? No. But, unfortunately, it’s reality. I think about celebrities and CEOs who are either really liberal or really conservative and how their opinions have been shared online and in the media and that opinion has effected their brand. Hobby Lobby and Chick-Fil-A come to mind, as do the Dixie Chicks from back in the day… but I’m starting to date myself with that reference, so I’ll leave it there!